Gold futures gained Thursday, headed toward their highest finish in a month in the wake of monetary policy decisions by the European Central Bank and U.S. Federal Reserve. The leading dollar index, which typically moves inversely to gold, also gained Thursday after spending the early part of the day in the red. Forex investors assessed the European Central Bank’s plan to end in December its post-crisis bond-buying program, which has for years helped prop up an economic recovery that officials increasingly believe can now stand on its own. The Fed on Wednesday, meanwhile, indicated that it will likely raise interest rates more aggressively in 2018 than previously signaled. Higher interest rates lift the appeal of holding dollars. That also means that a stronger dollar cuts the worth of holding non-yielding gold that’s priced in this denomination. Against this backdrop, August gold GCQ8, +0.51% was up $7.70, or 0.6%, to $1,309.60 an ounce. A settlement around this level would be the highest since for a most-active contract since May 14, according to FactSet data. Gold prices settled with a modest gain on Wednesday, then fell back under the closely monitored $1,300-an-ounce level in electronic trading, in the immediate wake of the Fed’s decision to lift a key interest rate. For its part, the Fed voted Wednesday to raise its benchmark federal-funds rateby a quarter-percentage point to a range of 1.75% and 2%. The central bank also said it expects to raise rates four times this year, up from a forecast of three in March. See the live blog/recap and video of the event here. A flurry of economic reports early Thursday, including upbeat retail sales, largely backed the Fed’s stance. 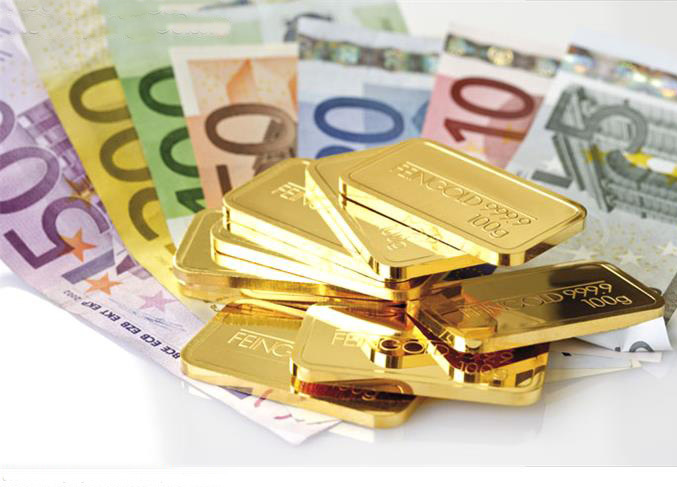 The rate differential between the U.S. and the ECB remained in the spotlight on Thursday and had most gold watchers keeping their eyes on a longer horizon. Aside from the central banks, trade worries continued to be on investors’ minds on Thursday. President Donald Trump’s administration is preparing to announce tariffs on tens of billions of dollars in Chinese goods as early as Friday, a move that is feared to trigger retaliatory action by China. Trade concerns can be supportive for haven gold, although its direct impact has been limited so far. In other metals trading, July silver SIN8, +1.32% added 1.7% to $17.275 an ounce. July copper HGN8, -1.01% fell 0.8% to $3.228 a pound. July platinumPLN8, +0.80% changed hands at $910.10 an ounce, up 0.8%, while SeptemberPAU8, -0.21% fell 0.2% to $1,005.50 an ounce. Among exchange-traded funds, SPDR Gold Shares GLD, +0.32% rose 0.5% and the iShares Silver Trust SLV, +0.78% tacked on 1.1%. The VanEck Vectors Gold Miners ETF GDX, +0.44% rose 0.6%.